Our professional florists have added pistagia to enhance and complete this bouquet while emphasizing the gorgeous floral shades. Available for UK next day delivery, send these flowers to any recipient and for any occasion. 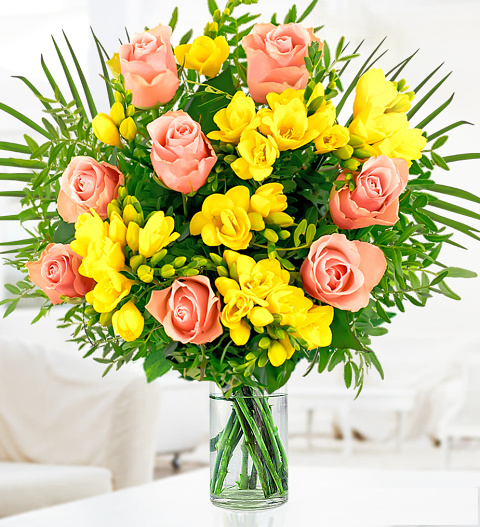 Brighten their day with these bright blooms or treat yourself to the very best flowers! Chocolates may contain nuts.